Self storage mobile is a system whereby individuals rent modules, containers or units of space that comes to you. Yes, that’s right! Once you loaded the storage module we collect it and return it to our large warehouse to safely store your goods and belongings. We offer Self storage Burwood, a kind of self storage that comes to you easily. You’re selling your home and need to declutter or you’re heading overseas for a year or two. You’re wondering what to do with all the goods you’ve somehow managed to accumulate. Or perhaps you’ve outgrown the space in your home and need somewhere to store the extra books, odds and ends until you get somewhere bigger. Or even if mum and dad aren’t willing to make their spare room available for your stockpile, it’s time to think inside the box. With a growing population and trend towards high-density apartment living, no matter where you need it, more Australians are turning to self storage as a short term storage or even a long term storage solution for lack of space. There is a large number of self storage operators and facilities both in the inner city and outer suburbs. How should you go about finding the facility and options that are right for you? Simple! Have them do all the hard work and bring the storage facility to you, hence, Macys mobile self storage Burwood can do the hard work for you. Its really simple. We have all the help you need. From boxes and protective wrapping materials, to some friendly tips, hints or help. Moreover, our team knows what you’re going through and will smooth it all over for you. 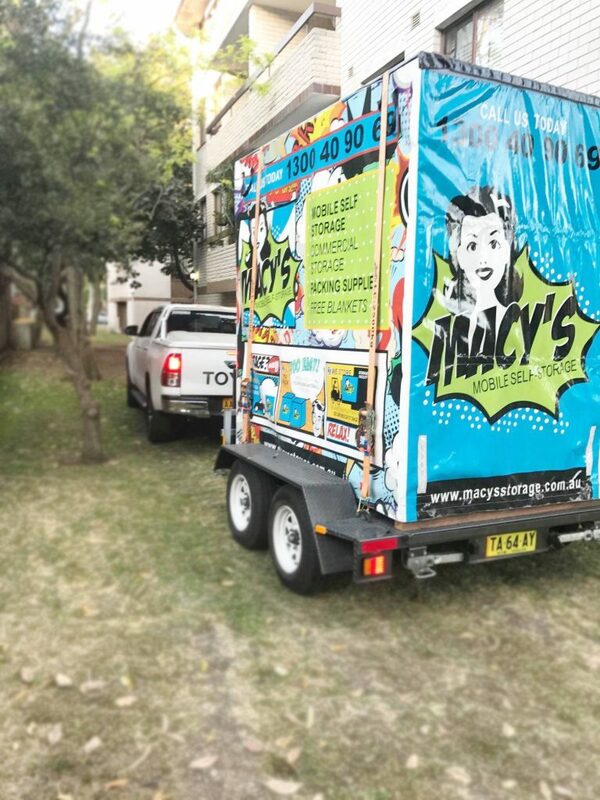 Macy’s mobile self storage Burwood has a user friendly website and also in depth videos and testimonials to assist you through the processes of packing, preparing and loading into our storage modules. Don’t worry about a truck loading and unloading, carrying things down to long corridors, getting lost in a maze of metal walls and doors. Macy’s self storage Burwood will bring the storage module right to you. We’ll make the whole process simple, easy and stress free. All you need to do is load then lock it up, and call us for collection. How easy is that! In no time the job is done, relax. Such a simple relocation process, to your self storage Burwood. You’ve saved time money, stress and effort. We will make the process as easy as possible. With all the tips, hints and free wrapping blankets that Macy’s offer. You know your goods will be safe and sound when you’re dealing with an expert self storage company. This entry was posted in Storage and tagged long term self storage, self storage, self storage units, short term self storage.